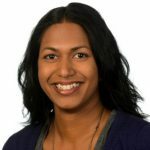 Sonia Fernandes is a Policy Manager at the Money Advice Service. Young adults know that good money management is important, particularly as they make the transition from education into the workforce – and financial independence. New research from the Money Advice Service shows that while money is an important part of how young adults feel about their lives, social pressures and a reluctance to talk about money or seek help can get in the way of good decisions being made. Rules of thumb, in the form of targeted money management tips, can help young adults to make the right financial decisions as they navigate this critical transition point in their lives. We commissioned BritainThinks, one of the UK’s leading insight and strategy consultancies, to conduct research to understand how 16-25 year olds manage their money as they make the transition from education to employment. BritainThinks conducted qualitative workshops across two locations with school and university leavers. In addition to the workshops, a quantitative survey of 470 16-25 year olds was conducted online. Young adults were asked to rank money management tips across six areas of financial decisions: use of credit; making investment choices; pension savings; budgeting; making large purchases; and short-term savings. Young adults don’t feel comfortable speaking with friends or family about how they are doing financially, feeling pressure to show that they can keep up with spending habits of friends and those they see on social media. They feel that keeping a strict budget or using money management strategies are boring. However, three in five of those surveyed (61%) agreed that their life would improve if they could manage their money better. One of the more striking findings of this research is that four in five respondents (85%) in the quantitative survey felt that they were not taught enough about money management while they were at school. The survey revealed that using credit was a particular concern of young adults – most expected that they would have to use credit in the future and wanted to get this right. Yet there was a sense of mistrust around credit and many survey respondents knew people who had gotten into financial difficulties after using credit. Most young adults would welcome tips and guidance to help them manage with money, particularly on use of credit. Rules of thumb in the form of money management tips can help. Tips that are achievable – that young adults feel they can immediately start working towards – are the most well received. Tips such as, ‘if you wouldn’t pay cash for it, don’t buy it on credit’, ‘think about your pension as soon as you start working’ or ‘divide spending on what you need and what you want’ provide the kind of money guidance support that meets young adults’ needs, in the context in which they are making financial decisions. The findings in this report are relevant to all who interact with young adults – consumer, youth and student bodies, educators, parents, financial services and other services. We call on you to apply and build on these rules of thumb in your daily interactions with young adults. Together we can improve outcomes for young adults – and create more of a social norm among young adults about these critical, early financial decisions in their working lives.